January 27 was a day that will go down as a day... well... as a very different day. 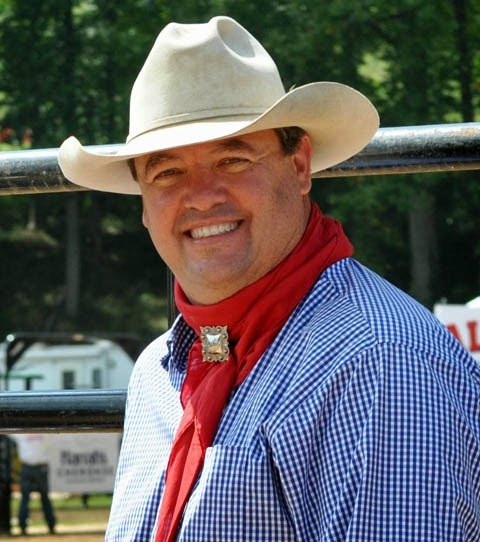 Land of the Sky Cowboy Church was asked to help sponsor Cowboy Day at Swannanoa First Baptist Church. The day would begin with a breakfast and then a cowboy style service. You just don't say that to a cowboy pastor if you don' mean it. Steve Rayburn, pastor of Swannanoa gave us the reigns and said one thing, "preach the gospel". There were 150 for breakfast and around 600 for the service. Steve told the congregation that they came within 10 people of setting the Sunday School attendance record. Our ministry team from Cowboy Church really made an impact. My wife Suzanne in conjunction with, Natilie, Nikki, their Dad Mike along with Matt and Lacie all brought out their horses and greated everyone as they drove up to the church parking lot. Now that's Cowboy. The service started with a Stick Horse Stampede featuring 30 children from the Kingdom Kids ministry of Swannanoa First Baptist. From there we "Cowboy'd Up" and gave the gospel cowboy church style. The people at Swannanoa First Baptist made us feel very welcome. My Mom has been the organist for this church for 42 years, so most of the members know me because I grew up there or they know my Mom. It made me a little nervous knowing that just about everyone there knew me when I was in High School, yikes! Gods plan for my life continues to unfold each day as we move forward. None of this could have happened without people praying for us. If you are reading this I would encourage you to please pray for this ministry. It is our mission to share the Good News of Jesus Christ within the Cowboy Culture and help others become effective Christ followers. From Suzanne and myself we want to thank you for your continued prayers and support.